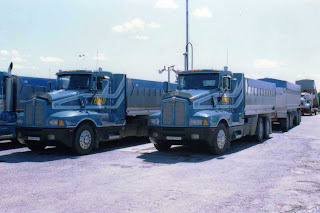 K.Church ran this Western Star with sleeper box. Conventionals with sleepers were not common in NZ around the time this picture was taken in Taupo. 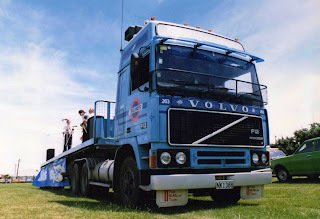 The vehicles on the decks give some indication to the age of the photo. Rorison Mineral Developments ran an all Kenworth fleet in the early 90s. 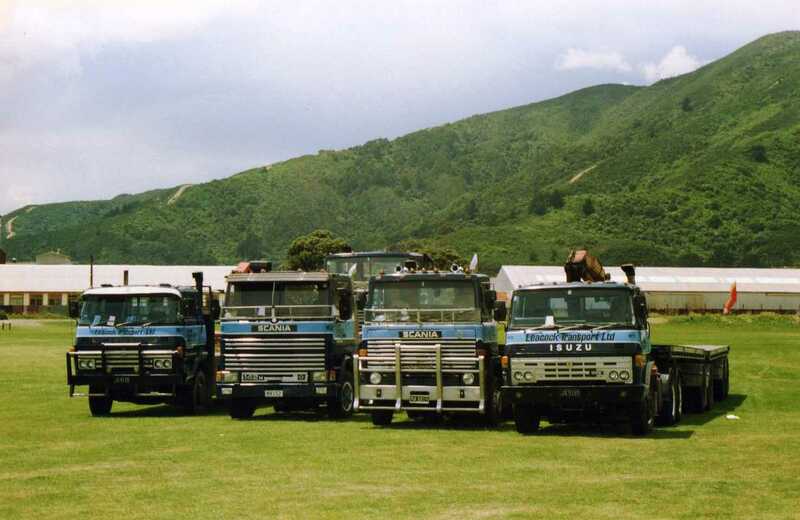 These two T602s were almost brand new when this photo was taken in their yard at mount Maunganui. This must have been one of the first globetrotters in NZ, being used as the stage for a band at a truck show. 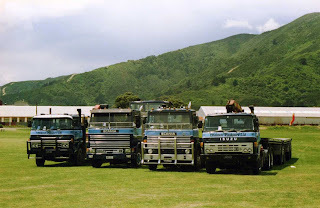 A few years ago there was a worthwhile car museum at Te Puke, but alas it has closed and all the exhibits sold off. 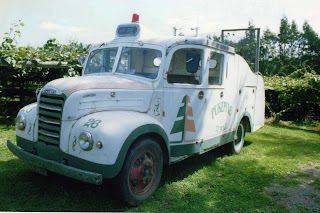 This Thames fire appliance was parked at the back of the museum. 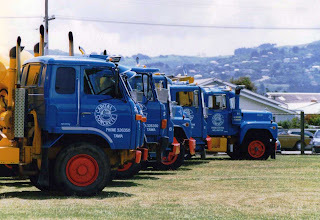 A display at Hutt Park of the Leacock Transport fleet. 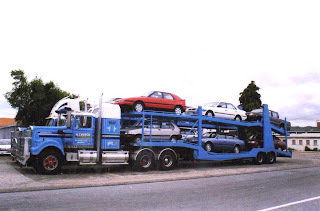 Both Isuzus and the R.H. Scania are all 1980 models. The L.H. Scania dates from 1982. 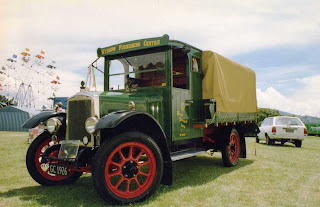 Also at Hutt Park was this 1926 Bean. 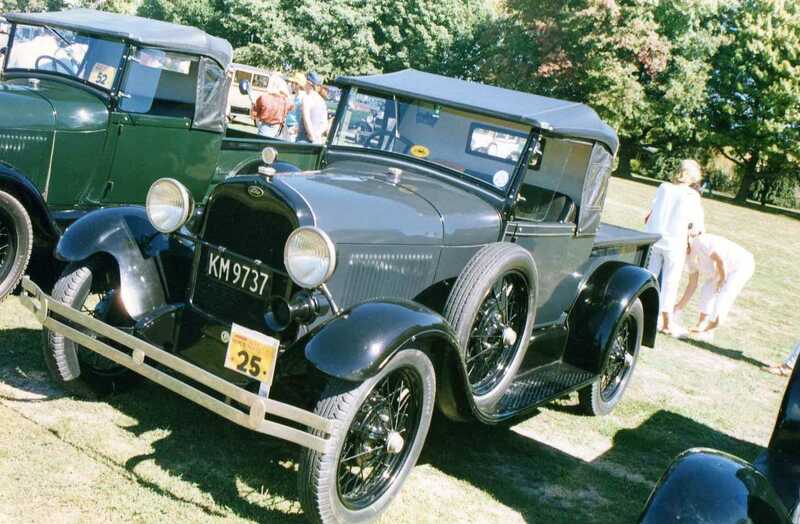 Tait and McKenzie of Featherston had this nicely restored 1928 Ford Model AA. 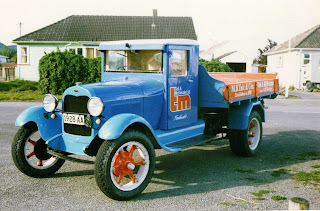 I haven't seen it for a long time, so not sure if they still have it. This model A pick-up was at a gathering of Model As in Blenheim in the 80s. 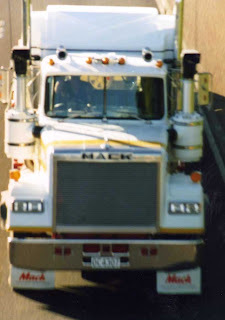 Mack Superliner II with sleeper, snapped from an overbridge on the Auckland Southern Motorway. 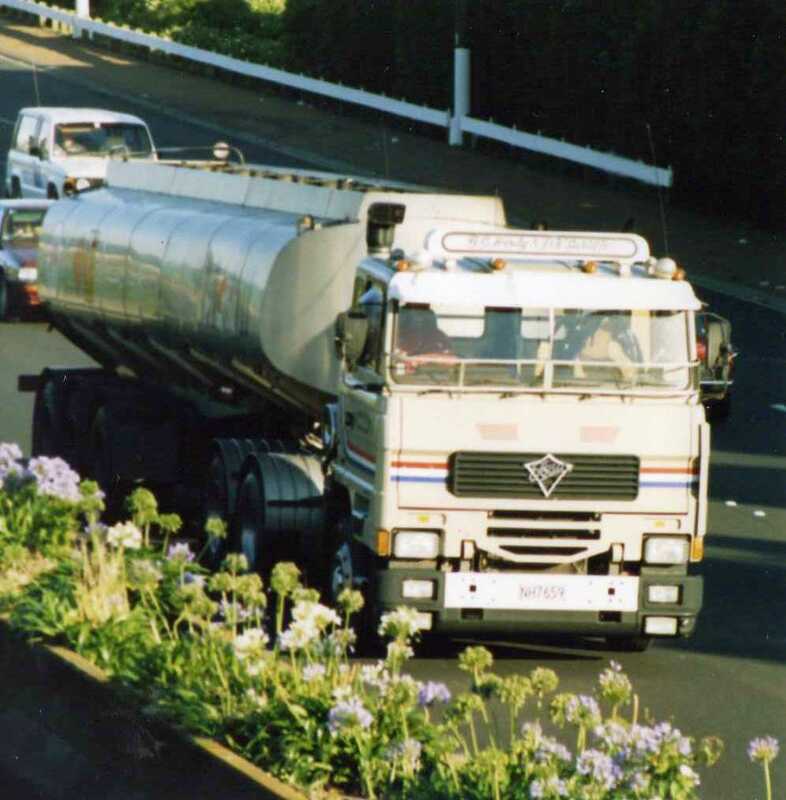 Hauling for Mobil is this Foden, also on the Auckland Motorway. 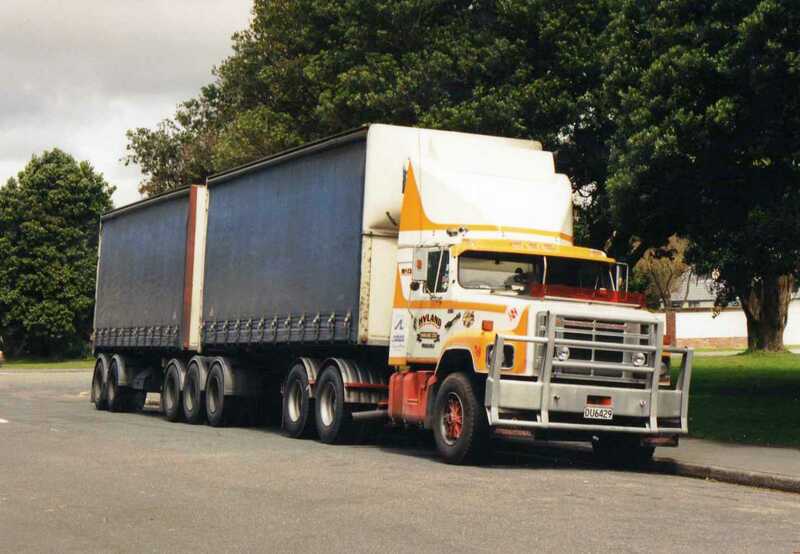 Hyland is the name on the door of this 1985 International SF 2670-400. 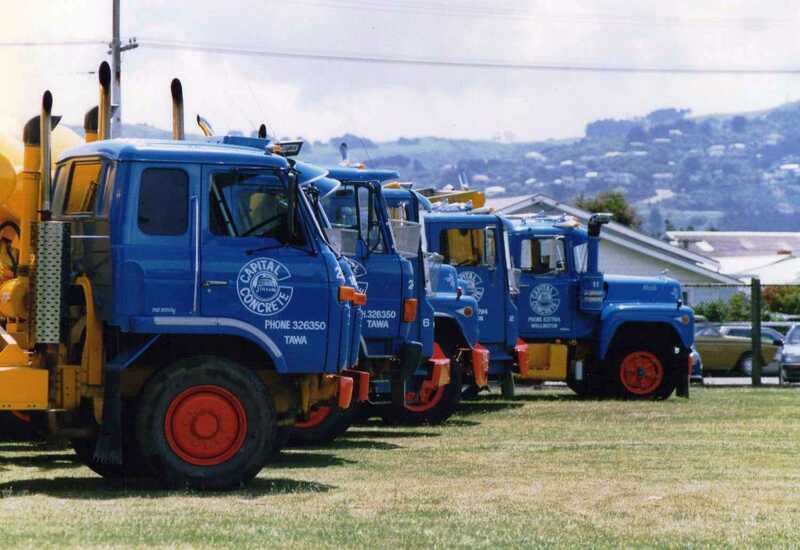 Two Nissans and five Macks are in this shot of Capital Concrete's fleet at Hutt Park. Truck Photos yet Again !